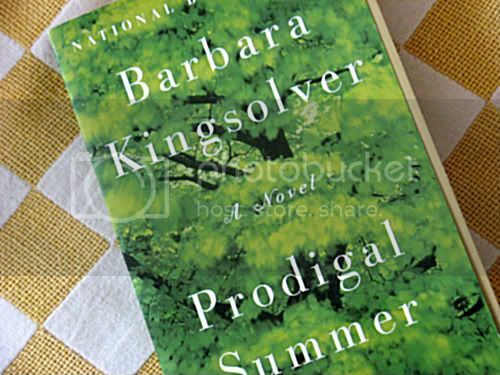 A beguiling departure for Kingsolver, who generally tackles social themes with trenchantly serious messages, this sentimental but honest novel, Prodigal Summer exhibits a talent for fiction lighter in mood and tone than The Poisonwood Bible and her previous works. There is also a new emphasis on the natural world, described in sensuous language and precise detail. But Kingsolver continues to take on timely issues, here focusing on the ecological damage caused by herbicides, ethical questions about raising tobacco, and the endangered condition of subsistence farming. You'll love this novel if you care about the environment and our relationship to it. 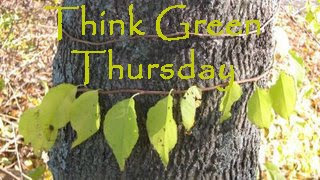 Think Green Thursday is Pagan Sphinx's new meme. Join her and others in participating at The Pagan's Eye. Great post! I haven't read this one, gonna have to pick it up at the library. Thanks for the tip! I like Kingsolver and this book is in my TBR pile. I play TGT. sounds like something to read while basking in the sunshine. Sounds like a great book for summer reading. Great suggestion for a good read that can help us learn something Mary, I will check it out! I read this book years ago and loved it. If I remember correctly, it involves three seperate yet connected stories. I really got caught up in th science aspect of it and wished I had pursued my interest in science, or even knew I had a propensity (sp?lol) for science back when I was searching for what to do with my career....alas, I never found this direction. I wish I had read this book 35 years ago my life would be so different .